The view from the rear balcony of Alec’s house is really beautiful. And after two overcast days, Sunday had dawned without a cloud in the sky. A brisk autumn morning, I wanted to go out back and take a few photos of the pond and trees. We all headed back to the hotel, stopping not-so-briefly at the world’s slowest McDonald’s to grab an Egg-McBreakfast. In fact, things took so long, that Alec needed to hurry off to the hotel, leaving me to ride the rest of the way with Steven and Axanar Art Director LEE QUESSENBERRY once our “fast” food was finally ready. Alec was already leading a panel on Starship Combat in the Axaverse (we have an Axaverse???) when we finally got there. With about 45 minutes until my first panel of the day, I decided to finally “walk the con” to see what was around. 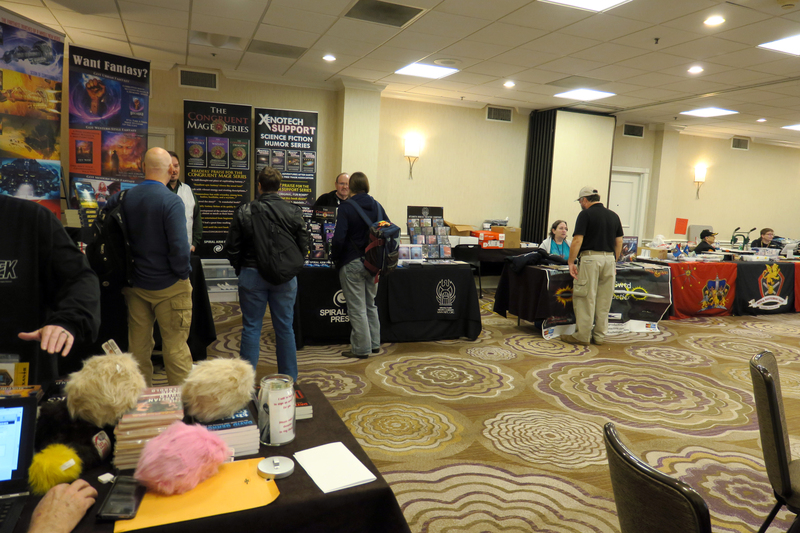 The vendor room was, not surprisingly, fairly small. But the two conventions together—Axacon and the host convention SphinxCon—only had 185 attendees total (and another 35 for Axacon). 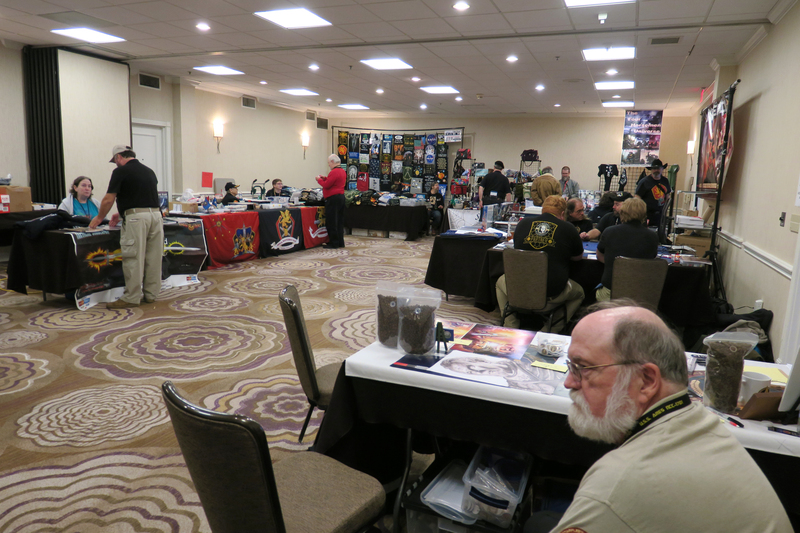 And I’m told by SphinxCon organizer DAVID WEINER, that the vendor rooms did sell out of tables, including the tables comped for guests. 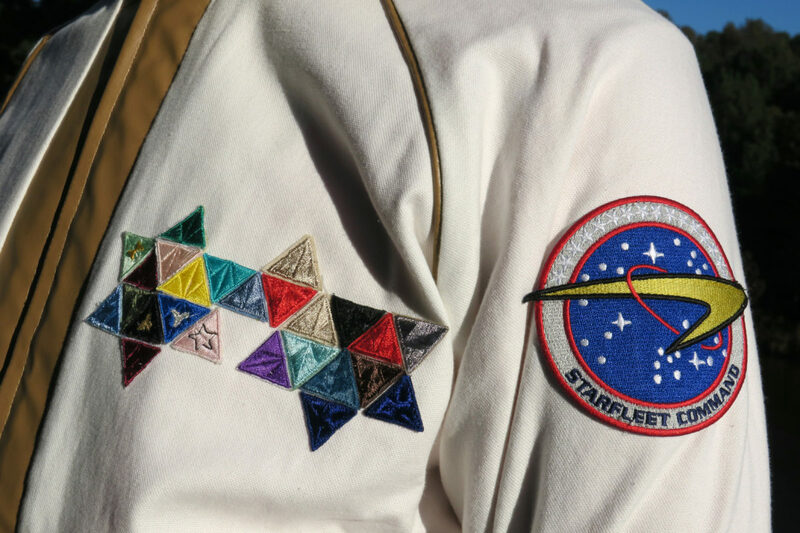 For an 8-year-old Trekkie-in-training, that video made Jayden ecstatic. Five days later, he’s still talking about it! After all is said about Alec Peters and the public perception that there is a low possibility of Axanar actually being made, why are Mr. Hertzler and Mr. Graham staying with the project? What do they see that we aren’t seeing? “What do they see that WE aren’t seeing?” Who you calling “we,” mate? Everyone I saw at Axacon was totally seeing it…and feeling it. The love, man, the LOVE! Once again, Gary and J.G.’s answers will eventually be on the Blu-ray perk. You won’t want to miss it! After the panel, Alec asked me to record a video of Gary and J.G. 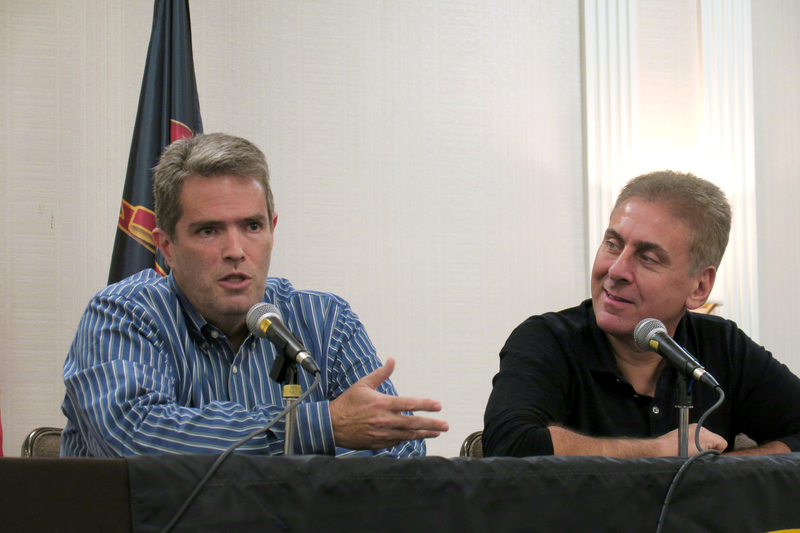 explaining why fans should give money to help complete Axanar. The video won’t be posted to Kickstarter or Indiegogo because the legal settlement with CBS and Paramount precludes Alec from using public crowd-funding services. But he’s not prevented from making private requests to donors, and that’s what’s being planned. So once again, Gary and J.G. sat in the director’s chairs, this time looking straight at the camera as I fed them questions to answer with full statements talking up their enthusiasm for Axanar and finishing what was started four years ago. This time the guys remained more focused—although still joking around a little because I truly think it’s in their DNA. And honestly, that’s effing great! I loved every minute with these two gentlemen. I SURVIVED GARY EFFING GRAHAM AND J.G. EFFING HERTZLER, DAMMIT! 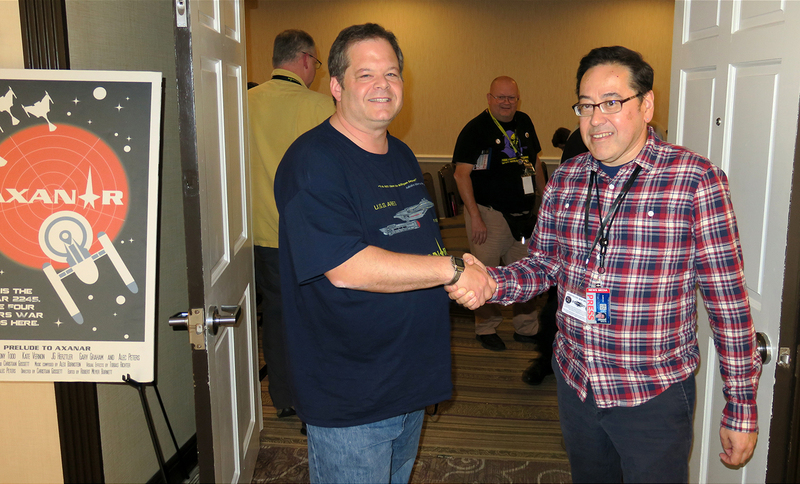 And as long as I was in the video alcove area anyway, Alec asked me to do one final interview…this time with my new buddy, Steven Jepson, talking about Admiral Slater. Why is Slater so popular? Why do so many fans want to see this “Neville Chamberlain” appeaser have a happy ending? Steven and I discussed this and came up with some interesting theories…including the possibility that Slater is the character who is most like “us” (the viewers). We will likely never be the brilliant tactical strategist that is Kelvar Garth. We’re not going to give rousing speeches to thousands like Ramirez. We’re probably not tough-as-nails like Sonya Alexander or a gruff old warhorse like Sam Travis. We’re certainly not Kharn, and we’re probably not a 200-year-old Vulcan ambassador like Soval. But Slater? We’ve all been there at one time or another—out of our depth, in the wrong place at the wrong time, trying our hardest but still failing anyway. Slater is us, the everyman, and we all want the chance to have our own happy endings, to move past our previous screw-ups and get some kind of redemption ourselves. So yeah, the discussion was like that. We also both shared our thoughts about where Slater would go after being kicked out of the top job in Starfleet. Steven though this intelligent man who believed in peace might go teach on Vulcan. I had a different take. In my imagining (and who’s to say who’s right), Slater was asked to run Starfleet Academy. After all, he’s still a valuable officer, and Steven wholeheartedly believes that Slater was originally in Communications (“Slater the Communicator”?) and rose up to be Fleet Admiral during a time when Starfleet was at peace and a good negotiator (“Slater the Negotiator”?—Okay, someone stop me!) was highly valued. But he was not a warrior, and the Klingons didn’t wan to hear Slater’s endless attempts at diplomacy. But Slater was still, at heart, a teacher…and what better place for a teacher than Starfleet Academy? But this wasn’t just a pity hiring by the admiralty. Slater now had a mission: figure out how to train a new generation of warriors to fight the Klingons. The Academy at the time was set up to teach science, exploration, first contact, and diplomacy. 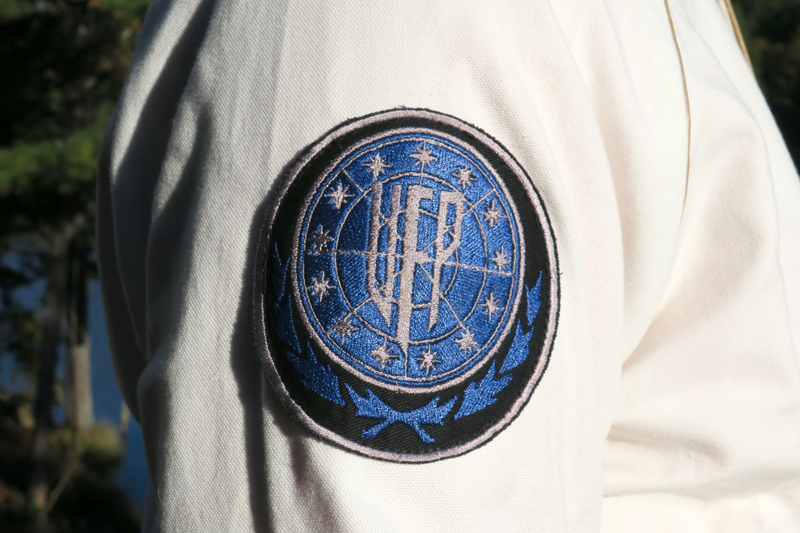 But now Starfleet needed fighters if it wanted to protect and preserve the Federation. Normally, experienced military veterans and combat specialists would teach these skills directly to the cadets in classrooms, but all of those personnel were critically needed on the front lines. And so, Slater did the next best thing. He taught their TACTICS. Cadets studied what was working against the Klingons, strategies employed by captains like Travis, Alexander, Trask, Robau, and Garth. Remember that, in “Whom Gods Destroy,” Kirk says to Garth: “I studied your victory at Axanar when I was a cadet. In fact it’s still required reading at the Academy.” That was Slater’s doing (or at least, I think it was). Steven and I had a really great discussion. You’re totally gonna want to see it! Before lunch, I stopped by a panel in the larger main meeting room with Alec, DAVID GERROLD, and MATT GREEN and SCOTT LYTTLE (who are helping to make the upcoming fan film First Frontier). They were discussing what the difference is between a fan film and an independent film…and where the industry might be going. Arriving late was JOHN ADCOX (who is making Yorktown: A Time to Heal featuring footage with George Takei filmed back in the 1980s). But in a amusing Land of the Lost moment, just as John arrived, David needed to leave. So there remained a balance. After lunch, I went to moderate my final panel: Steven Jepson and Alec Peters discuss Slater and Garth (sing “Slater and Garth” to the Christmas tune “Silver and Gold”—it’s fun!). Much of the first half of the panel was similar to my earlier video interview with Steven, although this time Alec chimed in with some of his own opinions on Slater, which were quite interesting and informative. But then there was a moment. For me, it was THE moment of Axacon…and I really hope Alec will decide to share it with all of you either on YouTube or the Blu-ray—rather than leavign it on the cutting room floor—because to me, at least, it shows who Alec truly is when it comes to this amazing project. Steve died of a heart attack in 1972 while at the Cannes Film Festival in France. 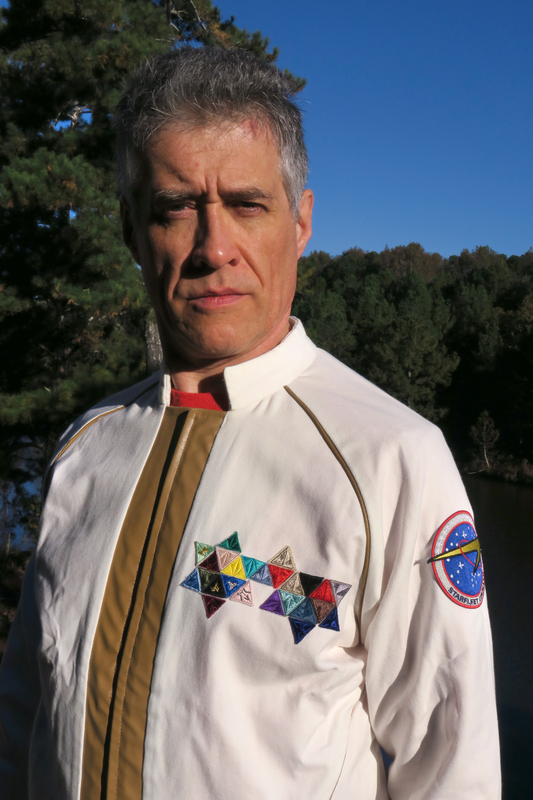 He was there to show an independent film that he had poured his heart and soul into (along with $37,000 of his own money, which would be about $220,000 in today’s dollars…about the same amount as Alec has put into Axanar thus far, as it happens). Sally told me that Steve would totally “get” what Alec was doing and would be proud of him for doing it. In that way, the two men shared something beyond simply playing the same character in Star Trek. Alec decided to follow up on what I said. During his panel the previous day with Sally, she had commented that Garth’s costume from “Whom Gods Destroy,” one of Alec’s most prized possessions and something he wore in the Axanar “Heroes” vignette (filmed but still to be released), contained her late husband’s DNA. There was part of Steve Ihnat in that costume. And now Alec was a part of those same threads and fibers, connecting the two men forever across time. As Alec was talking in a casual tone, about to describe what Sally’s words meant to him, about how Steve would have been proud of him and that sense of connection…he choked up. Really choked up. These weren’t crocodile tears, and it took Alec about 10 seconds or so to recover himself to continue talking. 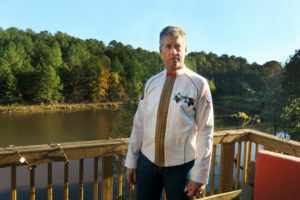 But for that brief moment, Alec Peters was truly feeling everything: the years of preparing for Axanar, of not giving up on his dream; the thrill of production and post-production; the emotional rollercoaster of the lawsuit; the struggles to pay the California rent and the painful decision to give up Industry Studios and move everything to Georgia. All of that came rushing to the surface along with the sheer, unbridled joy and triumph of this moment—Axacon—the bridge set finally completed, the script finished, the actors signed and appearing in person, the director in place. And despite all of the naysayers and detractors with their discouragement and nonsense, gathered here were the people who LOVE Axanar, who share the dream and never stopped believing that it could come true. Okay, was Alec really feeling all of that, or was he just exhausted from weeks of preparations for Axacon and three straight days of non-stop events and juggling the various people and panels and everything else? 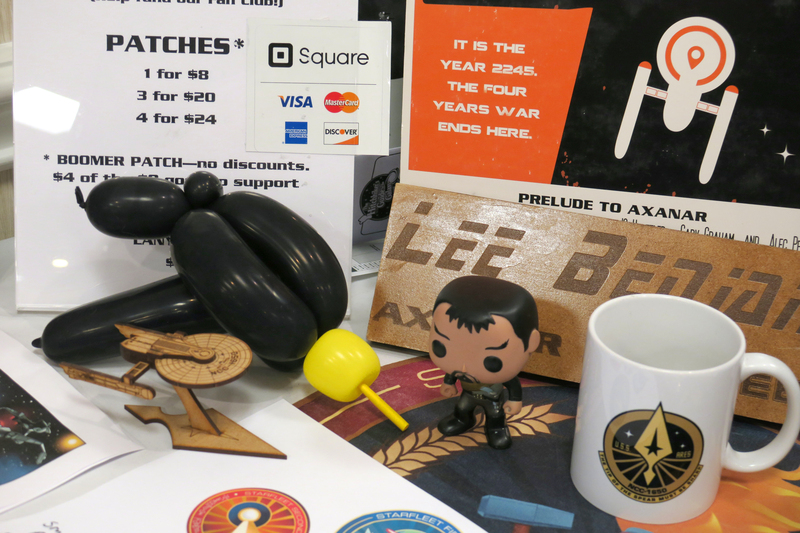 I’ll never know for certain, but what I do know is that, in that instant, I saw how much Axanar means to Alec Peters. And it was touching and vulnerable and real. It was everything that I always knew was inside but had never got to witness before. I sincerely hope that Alec isn’t embarrassed to show that video clip to people…because that brief moment says so much more than all of the interviews and podcasts and panel discussions and donor “ask” videos and blogs and Facebook comments ever could. Alec Peters IS Axanar. It’s been a long road getting from there to here…and that arduous trek is nearly finished. Okay, enough of the poetry! There’s one more thing I need to tell you about: CARLOS PEDRAZA. 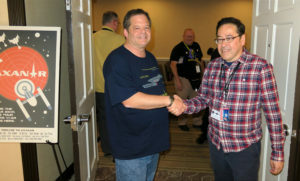 As you might remember from yesterday’s blog, Carlos was an attendee at SphinxCon that entire weekend, but he had been barred from attending Axacon events. 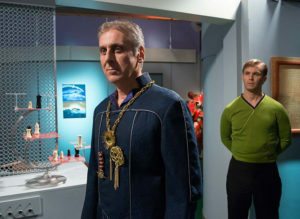 On a practical level, that simply meant that Carlos wasn’t allowed to come to the studio to see the bridge set, join the celebrities for lunch or dinner, and he couldn’t go into the small Axanar panel room for the weekend. But that hadn’t stopped him from walking past and sneaking a glance inside whenever the door was open. I don’t blame him for that; I’d be curious, too, to be perfectly honest. 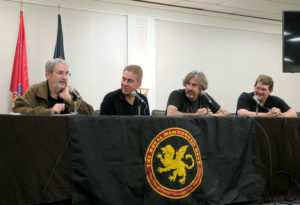 As Alec was setting up for the final panel—an Axanar trivia contest where the panelists try to stump the audience and vice-versa—I noticed Carlos do the walk-by/glance-in yet again. I mentioned it to Alec. “Hey, Jon, go and ask Carlos if he wants to join us for this last panel,” Alec said. I walked out into the hall just in time to see Carlos head into the men’s room. Hmmmm…do I follow Pedraza in there? That seemed too much like some weird kind of stalking. So I waited outside, trying to look casual. When Carlos finally emerged, I walked over and told him that Alec wanted to invite Carlos to attend the last panel…if he was interested. Carlos said he’d like that, and I escorted him in. Alec waved him in, saying, “Sure, come in, Carlos.” Carlos took a seat and the trivia games continued. That’s Carlos Pedraza on the far right. The last question of the panel was mine to anyone in the room except Carlos: “When was the first Axamonitor blog published…month and year?” Everyone was stumped, and I won a Coffee Cake. I asked Carlos for the answer: February 2016. Alec pointed out that my question wasn’t really Axanar trivia, but I just wanted to follow-up with “And when was the first Fan Film Factor blog published?” January 2016. Yep, I was first! However, Carlos had really been a good sport about everything. So I walked over to give him my Coffee Cake prize. It had been a really fun, lively, and hilarious panel, and I sincerely hoped that Carlos would see that Axanar isn’t just a bunch of gullible idiots following some nefarious conman. We are a family, a team, friends who just want to see this project reach completion, work hard if necessary, and hopefully have some good times along the way. I’m truly curious to see how Carlos chooses to report on this panel and gathering on his blog…as I’m doing on mine. With the panel over and Axacon now in the record books, it was time to say my good-byes. A hug for Alec, Steve, Crysstal, and a bunch of others. And while I didn’t hug Carlos, I did shake his hand. “I will see you on the battlefield,” I joked. We took a photo, and then I was off to the airport. No detractor/hater is ever going to change that for me. Regardless how many “truths” they PM to me. Great end to a great series of articles! Thank you for your kind mention of The Three A-Lee-Goes. 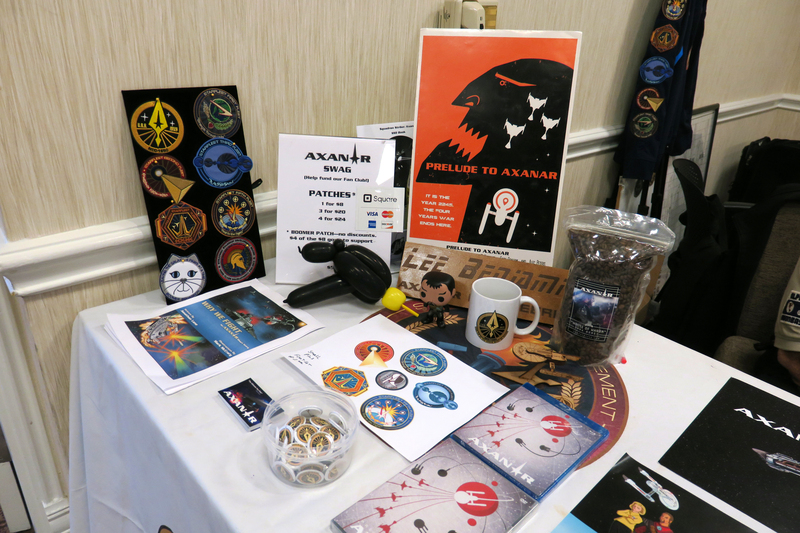 Everyone is welcome to check out my public Facebook photo albums of Axacon and the other events where we had a table to promote Axanar. Seriously, it was a great time! So many serendipitous things happened, and I was proud to be part of it – as an invited guest AND as a fan! Thanks for being you, Steven. 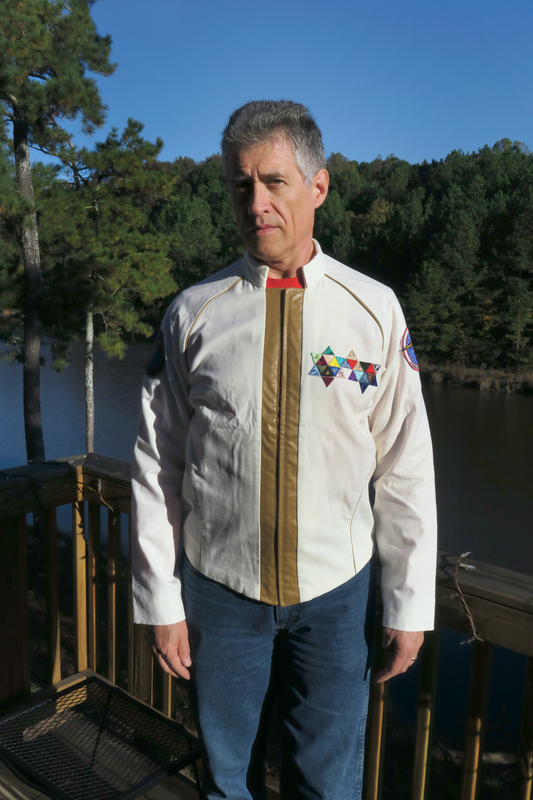 First off there is no registered legal entity in Georgia for the Axanar Fan Group. Peter’s lawyer Sheldon Friedman did register a name reservation in June 2017 (https://ecorp.sos.ga.gov/BusinessSearch/NameReservationSearch?businessId=2359931) but it expired a month later. 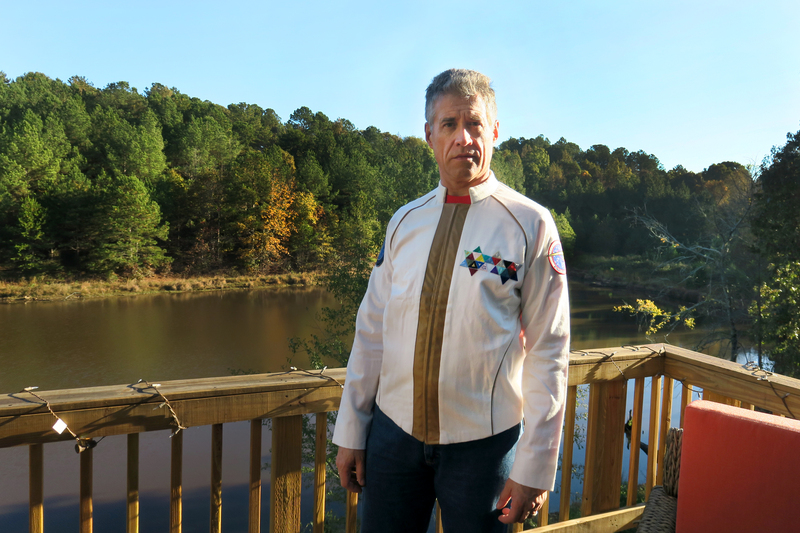 A search of Georgia corporations has nothing else for Axanar and nothing by Sheldon even though he’s the filer for Propworx, the Federal Coffee House, and Ares Investments LLC. So on the surface it appears a non-legal business entity is selling merchandise and most likely not collecting or paying the appropriate taxes. Now let’s leave that for a second and give them the benefit of the doubt (even though it’s clear that no legal entity exists). So this independant fan group is selling off old Axanar merchandise. Did they pay for it? If so, is it accounted for in Alec’s books? If not then why was merchandise that was paid for with donor funds just given away? When the group sells merchandise, where does that money go? Does it stay with the group? If so they’re making money off of the fan donations. Does it go back to the production or Peters? If so there’s a good chance that could violate the settlement. If the money does go to the production, is it properly accounted for in the books? Are taxes being paid? If not I’m sure the Georgia authorities or the IRS would take a dim view of that. I’d be happy for you to prove me wrong however and show me that this is all completely above board. Hahahaha! Ok Jonny. Keep up with the obsfucation and lack of transparency. At best this is all just another honest mistake by incompetents or at worst it’s illegal and an attempt to circumvent the court settlement. You have an opportunity to shed some light on it and show everyone that things are above board but instead choose to continue the deflection. Why give us more ammunition instead of proving us wrong? You have no legal standing in any of this. You are, in concepts that can best be summed up in a single word, meaningless. Axanar is moving on without you. Axanar is rising. The detractors are falling, sinking ever deeper into irrelevance and obscurity. You’re down to less than 65 people, and only about half of those are posting anything on a regular basis. And what you do post is rude, crude, crass, vulgar, and typically more directed at insulting individuals based on their names, appearances, or your assumptions about their personal lives. In short, you’ve been shooting yourselves in the foot for months (possibly years), and you’ve lost any credibility with anyone beyond yourselves. Shawn gave me a gift in letting me shine a light on the festering nonsense that emanates from your group on a regular basis. 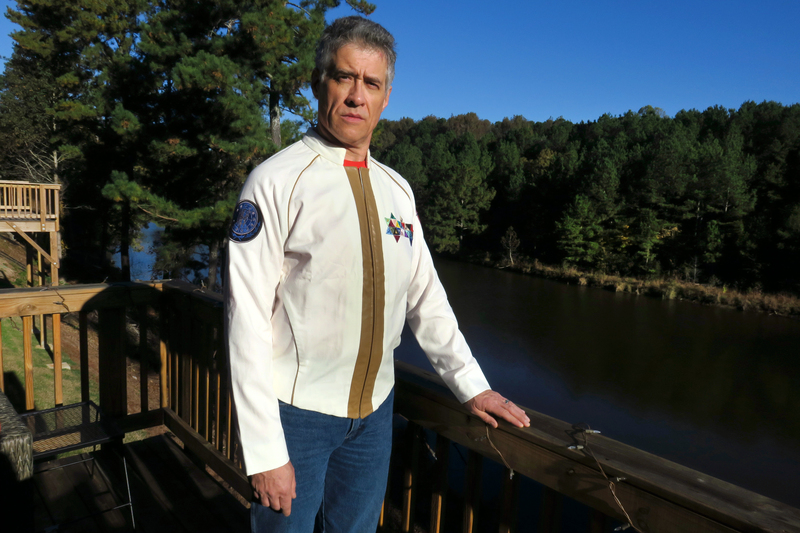 In some ways, Shawn has helped launch the momentum of #AxanarRising as much as Axacon did. That’s why I published my blog about his antics before doing the three days reporting. His blog was an appetizer to bring people to the table and set up the main course of reporting on all the FANtastic things and fun and love that happened at Axacon…all introduced by showing, yet again, why the detractors weren’t invited to the party. As we rise, you fall. Allowing me to show that fact to my readers in such obvious hatred and negativity and vitriol was Shawn’s unforced error–which even you yourself acknowledged hurt your cause, Sandy. That’s the way I describe the detractor “movement” (the same kind of “movement” Shawn claimed to have left in the restroom of the Federal Coffee House). You’re pretty much a “was” now, Sandy…all of you. The best you can come up with is insults, vulgarities, and the same old accusations that no one but you seems to give a, er, movement about. So you’ll please forgive me if I treat you folks with the same lack of respect that you’ve shown to me, Alec, and anyone else who has boarded the USS Ares as it launches into completing its final mission. You are small, Sandy. You are petty. You are irrelevant. And you are meaningless. The rest of us have things to do now, so enjoy what little is left of your echo-chamber. The only ammunition they have is another cork for their pop gun. Note their topics of late…increasingly trying to find whatever speck of insignificance they can whine about. Either that, or just recycling old topics just to squeeze a few more yuks out of it. I can’t decide if it’s sad to watch them flounder or just satisfyingly funny (or humorously satisfying). He has a point. Rather than deflection…tell him why he is incorrect in his assessment. Not worth the time, Joe. As I said, if the detractors aren’t going to show the Axanar supporters any respect, why should I waste any effort explaining why he’s wrong? He’ll never accept what I say anyway, will just argue the same thing or something different (whatever’s next on his hit list), and I’ll waste even more of my time. This has all happened before, and Sandy wants it to happen again…and again…and again. I’ve decided enough is enough. As I said, Sandy is meaningless in the world, as far as I am concerned. Truly. He accomplishes nothing significant or positive…only negative. And negativity should not be rewarded. So his questions can fade away into oblivion for all I care. No reason for me to make him feel important in any way. He hasn’t earned any response from me…so why should I provide one? I’m lactose intolerant and my favorite cheese is Brie. There’s an aspect here that gave me pause to reflect. I’ve never attended an event exactly equivalent to these various “…con” happenings (Comicon etc., etc.) 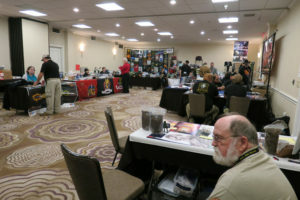 which seem particularly although not uniquely popular in the US, but I have attended vaguely similar conventions, such as Theatre Organ (WurliTzers and all that kinda stuff) conventions. These don’t usually have panel discussions or the like, but they share the fun and the joy of like-minded people getting together and exploring a common interest and growing from the sharing – meeting new people in a positive environment (I use that phrase as many classical organists, of which I am also one, really sneer at Theatre Organs even though they are also pipe organs). My point at this apparent irrelevance? Carlos, from the opposing camp, to me was rather brave in attending all alone an occasion celebrating a subject to which his views are intrinsically hostile, views that have been publicly vented in no uncertain terms. And yet he found himself in a group of typically warm and welcoming enthusiasts, sharing, enjoying, and working together with a common, positive aim. I don’t know whether your reporting contains any bias (most unusual if it did!) but there is no mention of any time being wasted on sneering at the detractors, and I imagine this would be the case – the event and the people attending would be focused on the very many positives. I am not sanguine as to the nature of any Axamonitor get-togethers, but I’m sure (if they happen?) such events would be dominated by the sharing of negative opinions, creating an atmosphere in stark contrast to that which was clearly evident at this event. Carlos, apparently, is an intelligent man and if so the contrast he would have experienced on this weekend MUST have impacted on him. I am not on Facebook etc, so will not see how Carlos reveals his reaction to the experience, and I’m not so blindly idealistic about human nature to expect any public reversal of his attitude, but I will certainly be interested to hear of any change, any softening, which may appear in what he says/writes in the future. Sorry to cover old ground Jonathan, but if it is legal to contribute to Kickstarter and the like for publicly-funded fan films, how can CBS/Paramount prevent Alec from taking such legal pathways to funding, provided what he produces is within the general guidelines (even then, they should only be able to intervene if he produces something which breaks said guidelines). Are they bigger than the law? (Are they connected to Trump?). PS. I hope you will forgive any typos as I forgive the three found in this blog . Alec isn’t constrained by the guidelines so much as by the legal settlement he signed with CBs and Paramount ending the lawsuit. That agreement precludes him from using public crowd-funding services such as Kickstarter or Indiegogo to raise money. However, he is NOT precluded from doing so privately. It isn’t as easy or as fun—watching the totals go up with each donation as the clock runs down, etc.—but it can potentially still be effective. As for DetractorCon, I can’t imagine they could ever make such a thing happen. Much like all of their criticisms of Alec, they come of a place of knowing, in their heart of hearts (assuming they have such things in the first place) that none of them could ever hope to accomplish the things Alec has: completing a Star Trek fan film that could win dozens and dozens of awards, assembling and working closely with multiple Trek and sci-fi actors and production people, fighting a multi-billion dollar corporation (two, in fact) to a draw after a year-long lawsuit, finishing a set as impressive as that bridge (with or without help—I don’t see any of them doing something even close), and of course, pulling off a mini-convention that drew in dozens of people from around the country including three celebrity guests to hang out all weekend and chat and dine with fans. No detractor could even hope or dream of accomplishing something like this…and that is why DetractorCon could never happen. Hmm – yes, all of this makes sense except my query isn’t really answered in that how can CBS/Paramount include a clause in the settlement preventing Alec from doing something that’s entirely legal? That prohibition may be part of the settlement/agreement, but they are constraining him from doing something that is entirely within the law. Seems very odd to me. Alec has bent a long way to satisfy CBS/Paramount – but to forgot a legal right!? Ich verstehen nicht. Understand that the whole reason for the lawsuit is that Alec was alleged doing something that was not legal: infringing on CBS’s copyright. He was being sued for tens of millions of dollars. CBS and Paramount withdrew that lawsuit and agreed to take no further action if–capital IF–Alec Peters followed the restrictions laid out in the settlement agreement. All of those restrictions were agreed to by all parties and approved by the judge, and so the agreement supersedes any laws that might apply in the situation, Bryan. Bryan, parties can contract to do, or not do, whatever they want. I can contract with you not to drink coke for the next year, or not to leave the USA. It’s a contract. If it was already illegal, then the promise not to do it wouldn’t be a contract. 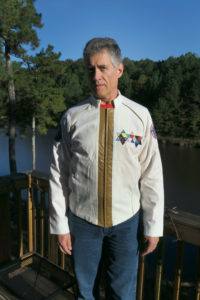 I would like to clarify someyhing my job consists to find, drawings, films, fabrics, braids, insignia, the best closer possible material as original (I work with collectors) or redesign pattern tunics now destroyed (Cage duty tunic, dress jacket the Cage) or create new pattern tunics and give everything to Angela Avino (golden hands) she transform everything in great tunics for Starfleet and admiral tunics in this case for Axanar project. She is very patient with my maniacal precision because she is has maniacal for precision to. Seriously, though, my congratulations to you both on meticulous quality and craftsmanship. 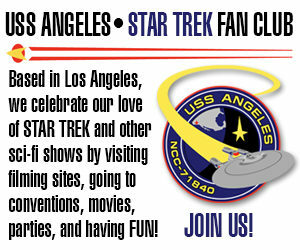 You know there is other stuff going on besides Axanar, right? Yep. I’ve got a conference call interview with Joshua and Victoria set up for next Wednesday, in fact! I’m looking forward to chatting with them! “Ghost Ship” was very well done. Did you enjoy it, too, Steve? That was a good one! That lead actor has a striking resemblance to Michael J Fox – I love it! I was reading along thinking “it sounds like a great deal of fun was had by all” when I got to the Carlos Pedraza section. As I read that section, the word “mensch” came to mind which is Yiddish for people of integrity and honor. I don’t often think of that word these days, but the way that small encounter played out was to me the way mensch act. And that led my monkey mind into one of my favorite part of Worf’s personality – his focus on honor. And to one of his most serious insults that someone is without honor. Worf would be proud of how that incident played out. But seriously, the farmer and the cowboy can be friends. We’re all on the same side, believe it or not, because we all love Star Trek. It’s what brought us all here in the first place. If we can find a way to use that commonality to build a bridge (pun intended!) across our differences, then maybe all it takes to start that connection is to shake someone’s hand. It’s yet to be seen if the events of AxaCon truly had a positive effect on Carlos. I’m cautiously optimistic, but we’ll see…does he prove to truly be a mensch, or just another schmuck? Well, considering I’ve just seen my first posting from Carlos since Axacon (on the detractor FB group page), and it was an oblique insult toward me and my tendency to write long blogs, I suspect any bridge-building we might have done at the end of Axacon has failed to take hold and Carlos may have reverted to form. If so, it’s truly a shame. I guess it’s better to rule in hell than to serve in heaven. The Axanar set got me thinking that there might be a blog or two in it for you on discussing fan film set design and production standards. or grasped the concept of the perpendicular. But, when the pictures I took got developed (I said it was a long time ago) everything looked great! They had been made to look good on film, no more, no less. So, the long winded point I’m sort of getting to, is it any different for fan sets? It would seem to me (without visiting one) that the standard can be higher. I suspect fans want an immersive experience and a place to hang out if budgets permit. Is this the case? 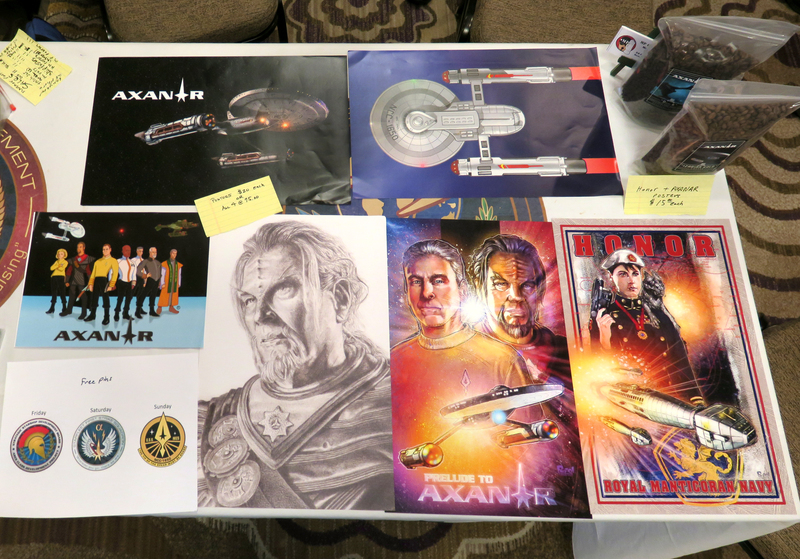 For example, the Axanar set is not a partial one, although I guess it could be. I would also say that, to me, it looks good to go as soon as the chairs are in, but I suspect there’s some perfectionism at play. Another example I remember is an STC video on the craftsmanship that went into the captain’s chair. Then there’s the other extreme, where an impressive amount of ingenuity turns a garage into a full on starship. I could go on, but I’ve gone on enough already! So how do the best fan film sets measure up to the standards required for TV? Any thoughts? Not many thoughts. The fact is that the camera is very forgiving…up to a point. The Arkansas TOS sets are gorgeous unless and until you get really close up. I’ve heard that James Caewley’s sets are much more detailed and meticulous. And Alec’s bridge is just staggering and could (at least right now) hold up to any close-up you might ever want to do. The fact is, there aren’t a lot of fan created sets for Star Trek. TOS is the easiest, of course, because most of the elements are flat and straight. I suspect DS9 would be the greatest challenge to recreate. (Man, that set was amazing! I was on it a couple of times.) But Voyager and TNG would likely be pretty tough, too…although elements of them have been attempted by some folks in various European countries including the U.K., Germany, and the Czech Republic. I always thought that Slater was someone who wanted to try EVERYTHING he could to preserve the peace. At best, he wanted to make sure that The Federation really, genuinely HAD NO OTHER OPTION but to go to war with the Klingons. It’s easy to condemn someone like that with the certainty of historical hindsight, but the decision probably not as clear-cut when these events were playing out. Also, YORKTOWN: A TIME TO HEAL is still in production? I’d heard of it a while back and assumed that it had been released by now. Any chance of a blu ray release of it? I’m not sure what will happen when Yorktown is finally done, but scenes have recently been filmed. I’m not sure if I’m allowed to say more at the moment. It’s the twenty-first century, EVERYTHING has a ‘verse(and a wiki). AND NO POWER IN THE ‘VERSE CAN STOP ME! Jonathan, great posts! Sally & I were honored to be even small parts of Axacon. It was an amazing experience & meant a lot to both of us. I will share with her what you wrote about sharing her words on Sunday about Steve’s suit with Alec. She will be deeply touched. It was a true pleasure and honor chatting with and interviewing both of you, Linda. Thank you, ladies, again for making the hours-long trip (each way) to join us.